Hosting both men and women for the first time, the Suzuki Nine Royals will feature some of the world’s most creative and gifted skiers and snowboarders from March 27th to April 1st, 2017. Joining the crew at Watles in South Tyrol, Italy, the “Become a Royal” online video contest winners include snowboarders Werni Stock (AUT) and Julia Marino (USA) as well as skiers Zuzana Stromkova (SVK) and Daniel Hanka (CZE) thanks to their unique styles and abilities, guaranteeing them all the chance to ride the innovative castle feature. 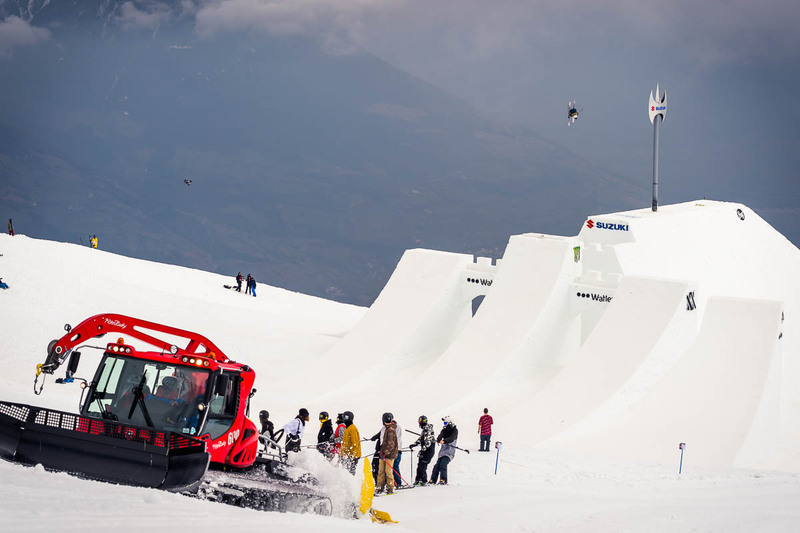 The week of epic film and photo shoots culminates with the Public Big Air contest and Après Party on April 1st; a spectacle well worth witnessing in person! 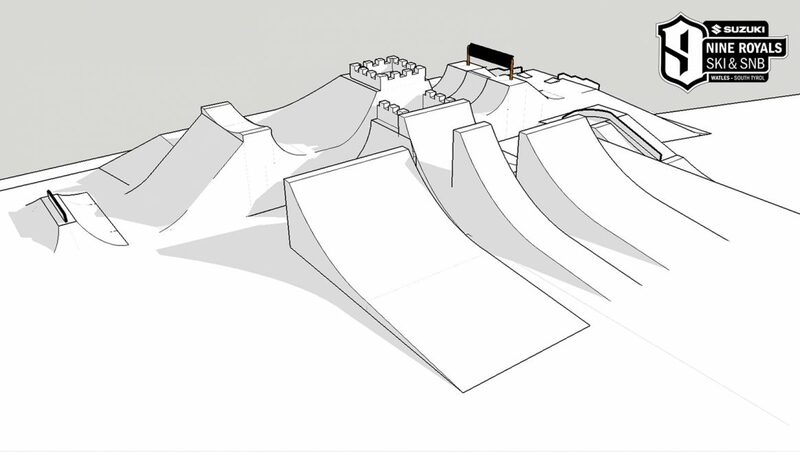 This year’s castle feature is more creative than ever, catering to the athlete’s individual styles while pushing the possibilities of skiing and snowboarding. It includes two main jumps, one measuring 29m from takeoff to landing, the other 23m. Additionally, it boasts multiple hips, transitions, step up quarterpipes and the most jib options ever included on these castle features. The possibilities are literally endless. This year’s roster is comprised of the crème de la crème in skiing and snowboarding, Numerous Olympian medalists, World Championship winners, X-Games podiums and internationally renowned video part filmers come together on one feature.